This book is an easy-to-use guide to short-term psychodynamic psychotherapy for early career practitioners and students of mental health. Written by an expert psychiatric educator, this book is meticulously designed to emphasize clarity and succinctness to facilitate quality training and practice. Developed in a reader-friendly voice, the text begins by introducing the theoretical underpinnings of psychodynamic psychotherapy. Topics include the principles of attachment theory, the dual system theory of emotion processing, decision theory, choice point analysis and a critical review of the research literature. The book then shifts its focus to a description in a manualized format of the objectives and tasks of each phase of therapy within the framework of the engagement, emotion-processing and termination phases. The book concludes with a chapter on psychodynamically informed clinical practice for non-psychotherapists. 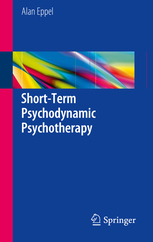 Short-Term Psychodynamic Psychotherapyis the ultimate tool for the education of students, residents, trainees, and fellows in psychiatry, psychology, counseling, social work, and all other clinical mental health professions. Alan B. Eppel is Professor, Department of Psychiatry and Behavioural Neurosciences, Faculty of Health Sciences, McMaster University, Hamilton, Ontario; Staff Psychiatrist at the Anxiety Treatment and Research Clinic, St. Joseph's Hospital, Hamilton, Ontario; Practicing Psychiatrist, Psychotherapist and Psychotherapy Supervisor.